In Kyoto, Japan, there is playground with a peculiar resident named Toothless. Despite a frightening introduction to this masked boy that send friends, Hisao and Sayuri fleeing in fear, they are drawn back to this eerie place where Toothless explains to them the magic of the playground. When an impossible tragedy befalls one of their friends, Hisao and Sayuri set out on a fantastical journey to uncover the mystery that keeps Toothless tethered to the playground and to hopefully help their injured friend. 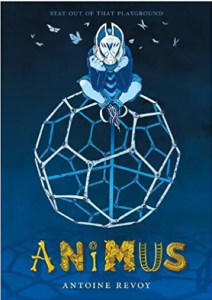 The creator of this graphic novel is both the writer and artist, and he has constructed a haunting tale with beautifully drawn illustrations that engage the reader’s imagination and emotions. At times the artwork is playful and will then take an unexpected chilling turn. The narrative works exceptionally well with the art and keeps the reader enthralled until the last bewildering page. Written in the American format of front-to-back and left-to-right, this manga-inspired graphic novel is likely to lead readers unfamiliar with manga to explore this genre of sequential art Japanese storytelling. 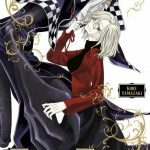 This graphic novel would be an excellent choice for fans of horror manga, such as Tokyo Ghoul, or for readers who are unfamiliar yet interested in manga. With their latest production completed, the Backstagers are ready to take a break from working stage crew for their school’s theater department. Those plans are derailed when the mysterious “friend” that Sasha made while lost in behind the curtain reappears. It’s up to Jory and the Backstagers to right the mistakes of the past in this epic conclusion to the original comics run. This second volume of The Backstagers is a fun depiction of life behind the scenes of theater with a memorable cast of characters. The magical elements of the story pull the reader in and hold their attention throughout, but it’s the variety of characters represented that make this a worthy read. Sygh’s illustrations pair perfectly with Tynion IV’s writing to illuminate the fantastical visuals that lie behind the curtain. Each of the characters tends to be drawn with exaggerated expressions similar to a manga style. 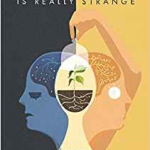 The result is a deep connection to the emotions of the characters and a delightful reading experience. A must read for theater geeks of all ages. 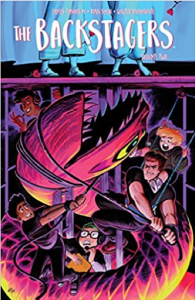 Highly recommended for fans of magical adventure stories like those found in the Lumberjanes series. 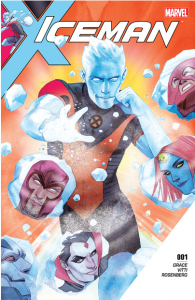 Iceman’s (Bobby Drake) issues don’t stop at fighting evil: for starters, he is barely out to friends and family while his time-displaced younger self is running around town with a model boyfriend. His ex-girlfriend, Kitty Pryde, is chilly to him, and his parents want him to do something with “structure and benefits,” as in, stop being a superhero and bringing unwanted attention to their family. That’s not even getting into the serious issues, like the ideologically motivated Purifiers who are intent on eliminating mutants and the wayward student Zach who has the power to dampen other superpowers and is receiving a warmer welcome at the rival Daken Institute. 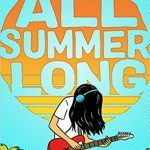 Every character in this volume has issues and strong feelings, but it’s how the characters act on their feelings that makes the difference between good and evil. 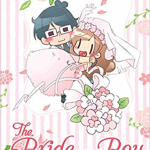 This volume is noteworthy for its inclusion of LGBT characters and situations and its somewhat nuanced portrayal of social issues. For example, even though Bobby’s body type is chunky and muscled, instead of appearing confident and capable, his body is often hulky and awkward, reflecting his shyness towards himself and his sexuality. On the other hand, Daken appears much more femme in light suits, a styled man bun, and dark nail polish. There’s a steamy scene where Daken seduces Bobby as part of an attack. There are other social subtleties in this volume as well, such as Bobby’s parents moving from one suburban town on Long Island to another due to the changing (read: less white) neighborhood. 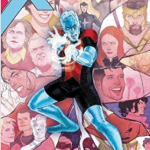 Hand this volume to fans of other X-Men comics and to readers who enjoy reading about LGBT superheroes like America Chavez.